Since Uriel specializes in helping people discover God's wisdom, Uriel may be visiting you when you gain new insights about the best decisions to make in various situations, say believers. Uriel directs your focus to the one he serves: God, write Linda Miller-Russo and Peter Miller-Russ in their book Dreaming With the Archangels: A Spiritual Guide to Dream Journeying: "Uriel will help you focus your consciousness on the eternal presence of the Creator with gratitude and appreciation for the divine plan of life." 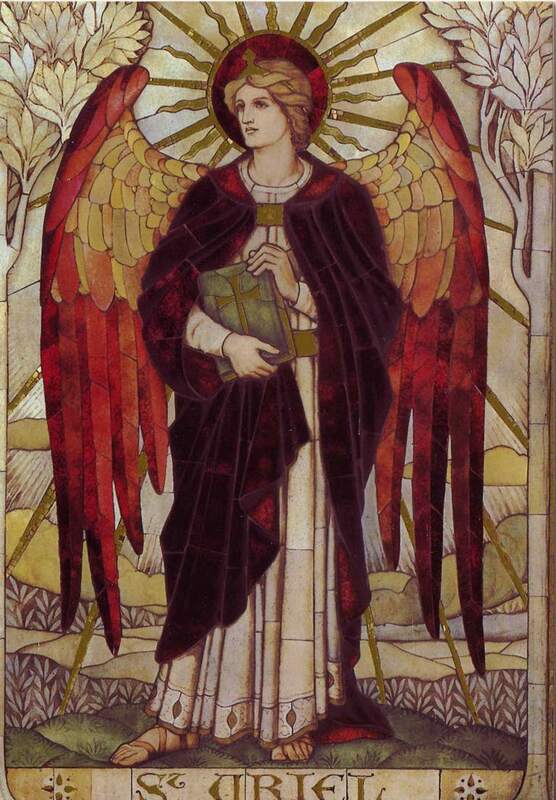 In his book Uriel: Communication With the Archangel For Transformation and Tranquility, Richard Webster writes that Uriel will help you discover God's prophecies by using your God-given intuition: "Uriel is the archangel of prophecy and is willing to help you develop your psychic powers and intuitive skills. He can provide insights through visions, dreams, and sudden perceptions. Once he knows that you are interested in developing these talents, he will provide regular, ongoing assistance." The guidance that Uriel provides can prove useful for everyday situations, such as solving problems or engaging in conversations, writes Doreen Virtue in her book Angels 101: "The archangel of light can illuminate your mind with wise ideas and concepts. Call upon Uriel for problem solving, brainstorming, or important conversations." Knowing that you can rely on Uriel to give you regular doses of wisdom gives you valuable confidence, believers say. In her book The Healing Power of Angels: How They Guide and Protect Us, Ambika Wauters writes: "Archangel Uriel helps us live our worthiness and find our freedom from abusive situations which diminish our value. Archangel Uriel heals any loss of self-respect. He helps us find empowerment in our own value so we can shine our light on to the world and claim our good." Since Uriel often sparks our minds with fresh ideas, he sometimes manifests physically through electrical signs, writes David Goddard in his book The Sacred Magic of the Angels: "Uriel has a great affinity with that mysterious force called electricity. His presence is often heralded by electrical appliances fusing and light bulbs failing; he also manifests in thunderstorms." Uriel, who is in charge of the red angel light ray (which represents service), wants you to take the wisdom he gives you and put it into action to serve people in need as God leads you, say believers. So when you feel an urge to reach out to serve others, that may be a sign of Uriel's presence with you. Not only will Uriel motivate you to serve people in need, but he will also empower you to do so, writes Webster in Uriel: Communication With the Archangel For Transformation and Tranquility. "If you feel the need to serve or help others in any way, Uriel is willing to do everything he can to help you. ... anything that you do to benefit humanity or the world will receive his help and support."